"Doctor and staff are great. We left a vet that was only 5 miles away to come over to advanced that's 30 miles away. For the service and treatment of our pet and us, it's well worth it." "Dr. Rozenbaum and the staff at Advanced Veterinary Medical Center are the best! I have no qualms about entrusted my pets to their care. They work as a competent and compassionate team." "I recommend Advanced Veterinary Medical Center to all of our customers for their pet’s Veterinary services with great confidence – heck, Dr. Rozenbaum is my own pets’ Veterinarian! Dr. Rozenbaum and staff must speak the language of “Woof” – they seem to understand when a dog doesn’t feel good, is afraid or cautious and help to make my dogs visits easier and pleasant. The office and Veterinary Assistant staff is skilled and have terrific customer service. They let me know they were there for me and my pet many times in good and more difficult pet ownership times. Compassionate, skilled, great customer service, and cutting edge professional services at reasonable prices – Canine College recommends Advanced Veterinary Medical Center to all of our customers!" "Words cannot express how grateful I am for the special care and treatment that Advanced Veterinary Medical Center has provided my pets through the years. Dr. Rozenbaum and the staff at Advanced understand how much we love our animals and they treat them like their own. I appreciate Dr. Rozenbaum's expert, loving care given to my pets who are members of my family and so very important to me. He has a special kindness and compassion for animals and has gone above and beyond on many occasions, especially when I lost my beloved dog, Jake. I will never forget his gentleness, patience, and the special care he gave both me and Jake. It means a lot to me to have such a caring doctor I can trust with the lives of my pets." "An associate Veterinarian, Dr. Elmer, who fills in at Advanced Vet and who is affiliated with the clinic, examined a lump on my then 2 year old Weimaraner, Jasmine. He said this lump needs to come out right away. We were apprehensive. After surgery, MSU said my dog had Lymphatic Cancer based on the analysis of the removed lump that was sent to them. I thought, "My Baby!". After detailed follow-up with a cancer specialist, no further treatment or chemo was necessary, as the doctor caught the cancer before it spread, removed good "margins" around the lump during surgery, and in my humble opinion, performed nothing less than a Christmas miracle. Many years later, that girl is laying next to me right now, belly to the air as she lay on the ground being lazy." "We love AVMC! All of us (humans and animals alike!) are treated so wonderfully. Dr R. and all the staff are so patient, always willing to listen to our many questions and provide clear, reasonable answers. The care that our dogs receive at AVMC is great! And as our dogs are aging, I really feel that they are given extra special care to help make their senior years the best possible! Our dogs are always very excited and happy to go to the vet...that alone says a lot! We have referred many of our friends to AVMC and will continue to do so!" "I’m just writing a note to say how pleased we are with how well Dr. Rozenbaum and the rest of the staff have treated our cats Gerta and Calvin over the years. They have always been patient, caring and gentle with them. Calvin had a serious issue with diabetes. Dr. Rozenbaum explained and showed how to administer insulin and got Calvin back to his normal life for several more years. When it was finally time for Calvin to go, Dr. Rozenbaum and the staff were especially caring and understanding at this sad time. 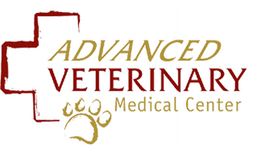 We are really satisfied with how we and our pets are treated at Advanced Veterinary Medical Center."